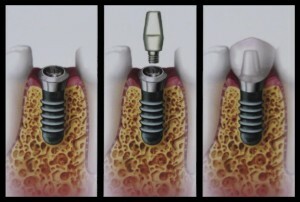 Dental Implants are a great way to replace missing teeth. They can provide a fixed solution to removable partials or complete dentures, giving excellent support and stability. 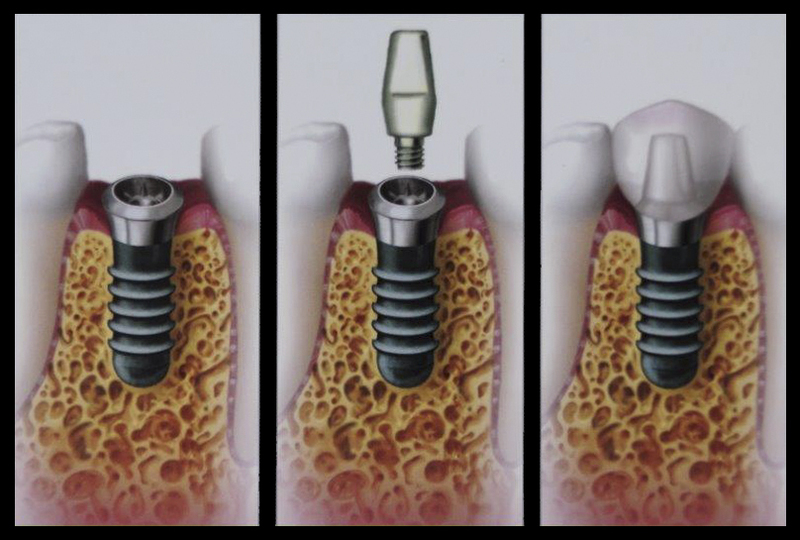 A dental implant is a titanium screw that replaces the root of the tooth. It is placed in your jawbone by a Periodontist, who’s a specialist of the gums and supporting bone. This procedure is done very comfortably with local anesthetic. Don’t believe that all implants are equal. There are over 100 companies making implants, but just a few have a lot of research and development. We use, and trust, Straumann implants, because they are the most widely studied and used. general dentist will attach a permanent tooth. The restorations are natural looking, strong, stable, durable, and will enhance your smile for many years.